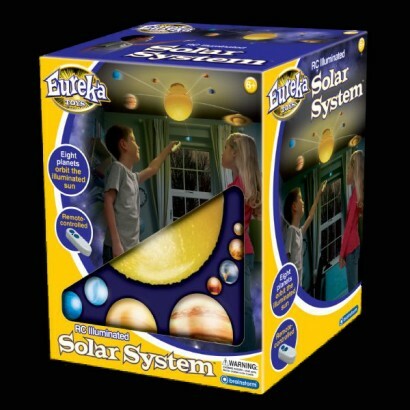 A very funky night light and educational tool, the Solar System Mobile is a very impressive kid's light. This fabulous night light mobile comes with eight motorized planets which orbit the light up sun on three independent orbits. An educational colour booklet is included which is full of fascinating facts about the Solar System. 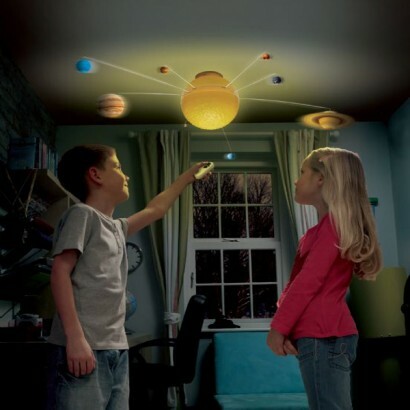 The Solar System Mobile is perfect for kids' rooms and is easy to install, all the hardware is included and the unit is battery powered so no need for a mains connection, simply hang it from most parts of the ceiling using the parts provided. 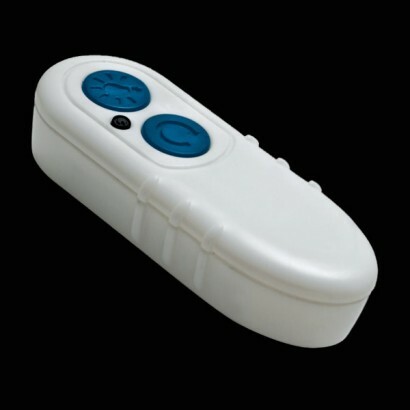 Bright, colourful and a gorgeous night light, the Solar System Mobile does not replace your existing ceiling fixture.